It is claimed that this was fixed by , dating from Oct 18, 2011 : libnfc-llcp: set mqueue. Make sure you have required run-time dependencies. Please contact your licensing partner once to verify the license keys. The next part is just like on Linux. The only few bits of data that we can immediately identify are: 1 The write protected manufacturer block Sector 0 block0 and 2 we know that every fourth block will determine our access rights to the current sector containing the secret keys we have already decrypted. When you type the password, it won't be displayed on screen, but the system would accept it. Note: You cannot use mfcuk just yet, because libnfc 1. It is also possible that they do not work in all situations. To be able to decrypt the content of the card, the keys must be found. That being said, the EasyCard is fundamentally broken from the ground up. Below we can see the spending limit counter change by comparing block2 on the same card on two subsequent days. Before anyone shouts fire please read carefully which steps I took to validate the potential for abuse by malicious attackers. The database information can then be used to securely process the transaction with a high level of integrity. 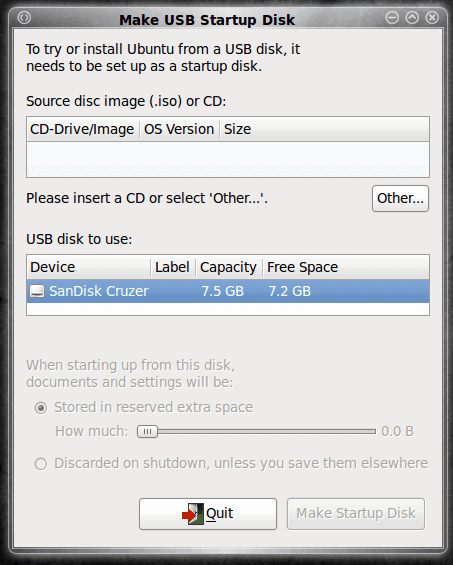 It will dump the card to a file you specified. Setting up on Windows Humm… who cares? It appears that all transactions are synced with the back-end every few hours, unfortunately this is not nearly good enough! It is important to wait a time long enough to pass the pn532 wake up sequence, so do send a 0x55, 0x55 followed by some 30 0x00. I launched an attack using mfcuk and got a key back after some time. We have come to the point where we can start decoding the data on the card. Thanks for helping make community forums a great place. This will become increasingly important as we will be comparing a lot! In this section I will outline several attack scenarios which will either make us rich or poor! You may use whatever tool you want. Make sure you've checked the page too. Example 1 - I'm So Rich: In this example I dumped the contents of an EasyCard to have a legitimate copy of the data. Below you can see the last transaction that was made on the card. Then wait for the command to finish. I want to repeat again that no fraud was committed during the course of my research. When a transaction is made the card should be identified and a lookup should be initiated in a back-end database. 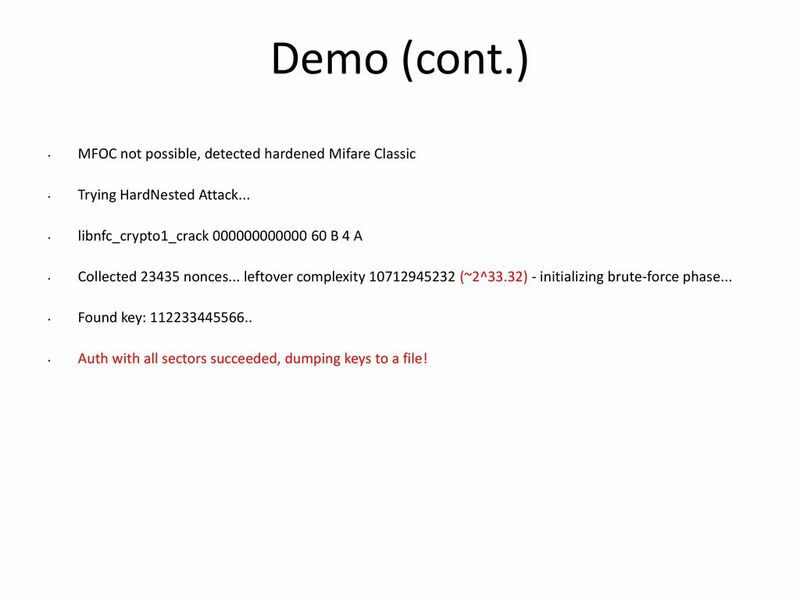 When one key is found, mfoc can be used to find all other keys within minutes. In the absence of clearly-defined goals, we become strangely loyal to performing daily trivia until ultimately we become enslaved by it. Recharge Terminal We have already been able to get a lot of information from one single comparison. 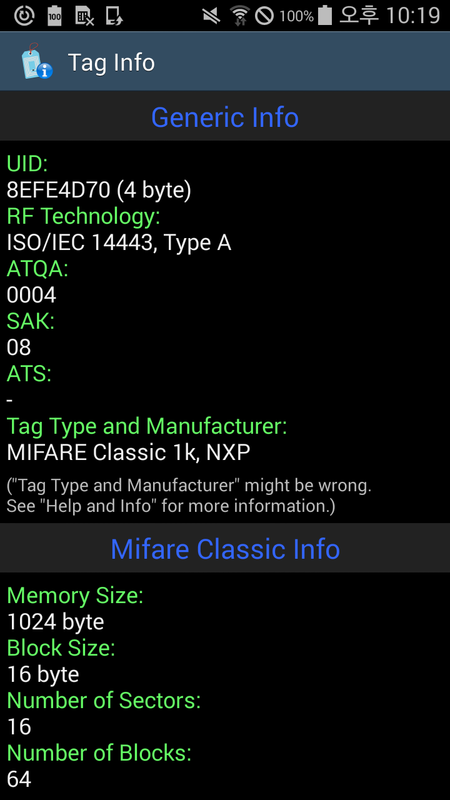 If you need more background on Mifare classic I recommend that you read my datasheet. Once these key have been found we can freely read from and write to the card. To this end I created a Mifare 1k template for 010Editor that can highlight the known data on the card, this will allow us to distinguish the various sectors and visually filter out the irrelevant data. This book contains many real life examples derived from the author's experience as a Linux system and network administrator, trainer and consultant. The fix seems to be to use an older version of mfcuk. Destroyed Card Data Extraction With EasyDump This write-up would not be complete without a script! I compile program on kali linux 32 bit but on this system program don't work. If the package you are compiling is nfc-tools, then this problem is described in. While the encryption system on the cards had been cracked, any use of the hacked cards to make transactions will be detected, which allows us to stop any acts of thefts immediately and prevent hackers from taking advantages of the cards. That is no different in this case. While Harald was doing some freelance work in Taiwan he decided to have a look at the EasyCard system. 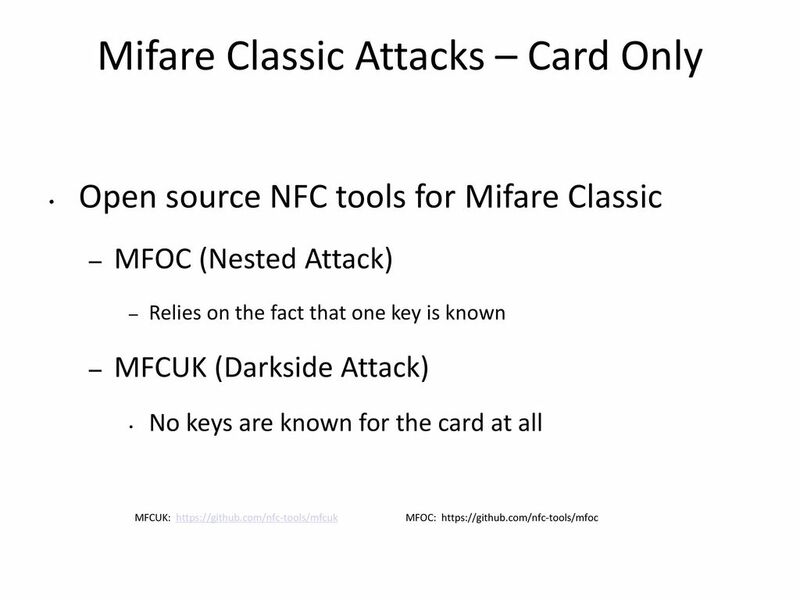 A typical attack scenario is to use mfcuk to find the first key of the card which may take quite some time. Code pieces are only indended to explain something particualar. This older version is, in turn, not compatible with mfoc. If something goes wrong, unplug everything, remove the card, and try again from the beginning. This may take some time up to hours. Software Well, is the center piece of the whole operation. Follow the instructions in the order written.